This is familiar, dismaying territory for me. For years, I felt it was my sacred duty to micromanage play dates, the first few weeks of school, tryouts for the school play, homework, and anything that might make my kids unhappy. But then I bumped up against something I couldn’t micromanage: Birch Rock Camp. My older son started at Birch Rock back in 1999. This was the first time my child would be away from me for more than a sleep-over. How could I make sure that he’d be happy and that everything would go smoothly when he was hundreds of miles away, for three long weeks? The answer was, of course, I couldn’t. I had to trust Birch Rock to take good care of him. I had to truly accept that my boy was a complete person, separate from me. That first Birch Rock experience gave Charles a keenly needed sense of autonomy, and a whole lot of fun. It gave me the dawning idea that kids benefit enormously from time away from their helicopter parents. I still struggle with the urge to hover, but summer camp gave me basic training in backing off. 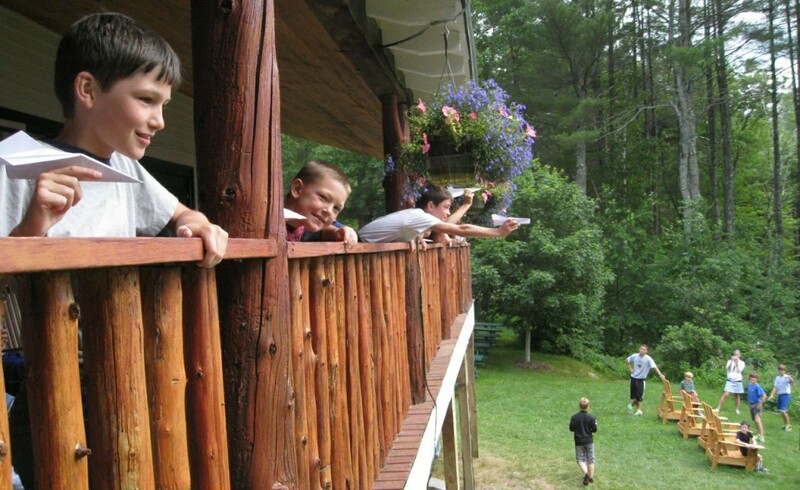 Both of my sons became seven-weekers at camp. Fast forward a few years: Charles spent 15 months in Europe as a student. Harry tackled the 2,200-mile Appalachian Trail on his own at the age of 18. And I’m the contented mother of two sons who are making their way in the wide world. I listen to their joys and sorrows, seeing them as the confident, capable and independent young men they are.